Shakhtar played their first game as part of the Italian training camp. The Pitmen faced Serie A newcomers Capri. Shakhtar came to Italy without players, who are on international duty now. Anton Kanibolotskyy was stationed in goal, with the backline remaining the same as in the Cup game against Arsenal: Vasyl Kobin, Serhiy Kryvtsov, Mykola Matvienko, Ismaily. The midfield consisted of Brazilians, with Alex Teixeira captaining the squad. Facundo Ferreyra was spearheading the Pitmen’s attack. At a local stadium, Shakhtar enjoyed support from a number of Ukrainian fans. The opening minutes saw an end-to-end game. The Pitmen gradually took control of ball possession, but the hosts managed to orchestrate quick counterattacks. In the beginning of the game, Eduardo got injured and was replaced. There were many challenges on the pitch, which led to many pauses during the game. Kanibolotskyy made two fine saves in the first half, parrying away shots from Capri players. On 35 minutes, Teixeira could have opened the scoring, when he darted into the penalty area from the right, beat two defenders and struck towards the near corner – the Italian goalkeeper made a save. After five minutes, Alex beat the defender in a race, before being brought down after the opposition pushed him in the back. The referee waved play on, but on 43 minutes the referee awarded a penalty kick. Ismaily made a run down the byline before being brought down. Eduardo converted a penalty kick, sending the ball into the left corner of the net. The first half ended with Shakhtar 1-0 up. After taking a rest, the nature of the game remained the same. The Italian team played rough, and on 53 minutes, emotions took Teixeira over after he again suffered a vicious challenge: he chased that player and brought him down. 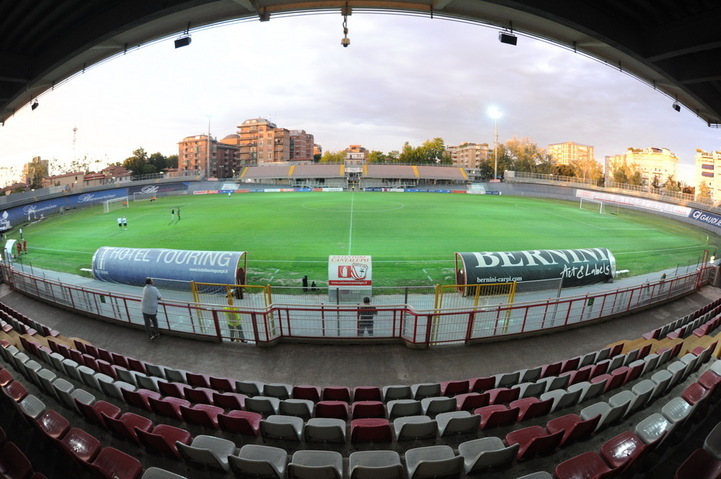 That episode led to strong reaction from Carpi’s players, who provoked a showdown. The teams came close to almost ending the match. As a result, the referee showed Fred the red card. Marcio Azevedo replaced him, and Carpi’s player made three changes. On 70 minutes, Kanibolotskyy made a fine save, parrying away a difficult curling shot that was flying behind his back. In the following attacking move, the Pitmen scored but Kobin’s goal was flagged for offside. Soon Teixeira took a shot goalwards – the ball flew wide. Then, Alex was again fouled inside the penalty area – the referee waved play on. On 78 minutes, Mircea Lucescu made two changes: youngsters Andriy Boryachuk and Gіorgi Arabidze came on. In the closing stages of the match, the Italian team made two changes, when on 84 minutes and 88 minutes they took similar free kicks followed by crosses into the penalty area. There was not stoppage time in the game. The match ended with Carpi claim a 2-1 win. Shakhtar will play their next game on 5 September against Atalanta. The match will kick off at 21:30, Ukrainian time.